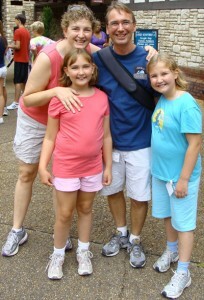 Family Travel Advice & Escapist Fun From Dad’s Perspective: A blog focused on travel, theme parks, and entertainment to help families navigate through life’s adventures. It’s trite, but true: life’s an adventure – whether it takes you across the street, across the country, or across the globe. Adventures by Daddy invites everyone to follow along as one father, with a passion for travel, discovers the adventures that abound every day. This blog focuses on trip reports from solo travels for work, family travels for relaxation and vacation, and everyday adventures at home with family and parenting. Adventures by Daddy covers select films and television shows that also embrace the spirit of adventure. I invite you to follow along, share your thoughts and perspectives, as we discover the world together and build a community of families interested in travel and adventure. In addition to travel-writing at Adventures by Daddy, I have served as a guest writer for a number of different sites, and my articles have appeared on USA Today Travel, Fox News, Huffington Post, MiniTime, Parade Magazine, and Yahoo Travel, to name a few. 50 Thrills in 50 States – Family Circle, July 2016: 121. print. Orlando Sentinel interview on Universal Orlando’s announcement of a new King Kong attraction. Radio interview with Turi Ryder on nationally syndicated America Weekend From Coast to Roller Coast. 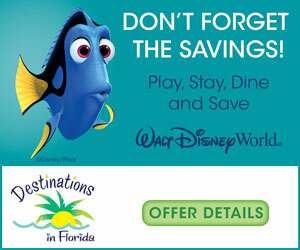 I have worked with multiple companies, agencies, and brands such as, Disney Parks, Disney Cruise Line, Universal Parks & Resorts, SeaWorld Parks & Entertainment, Great Wolf Lodge, Embassy Suites Hotels, and multiple convention and visitors bureaus. 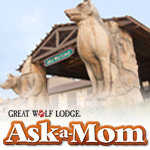 In March 2013, I was invited to serve on Great Wolf Lodge’s “Ask a Mom” family-travel expert panel.